I’m quickly learning the importance of community when it comes to adoption. None of our friends have adopted so we don’t have a whole lot of people to talk with that can relate to the things we might go through. Thanks to instagram I have “met” a ton of sweet people who have adopted/fostered, are in the process, or are in the beginning stages of what adoption would look like for their family. It has seriously been such a blessing to know other people are walking along side us in this process. But with instagram your conversations can only go so far. 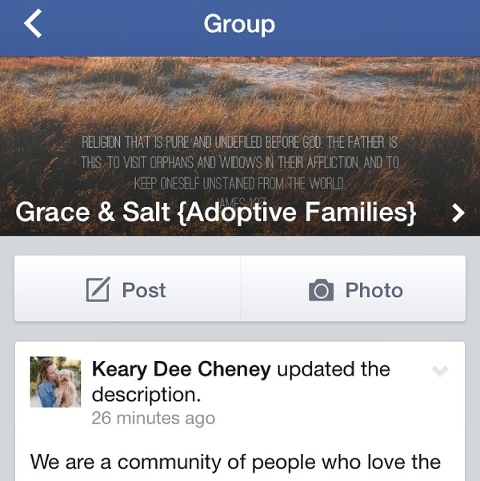 So we decided to start a facebook group where we can share more intimately, support each other, pray for each other, ask questions, answer questions, and commit to walking through the fire with other families as we fight for the orphan. So if you are any of the above mentioned, we’d love for you to join the group! Can’t wait to get to know you and hear your story! We’ll be planning meetups, play dates, brunches, dinners, coffee dates, walks on the beach, bible studies, etc.